The Heritage Centre has a wide range of gifts for visitors to choose from, including jewellery, locally made handicrafts, toys, books and CDs. 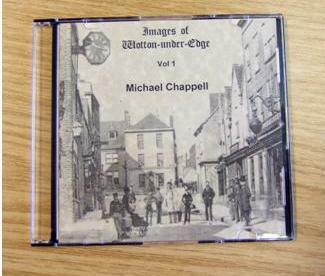 In addition, the Society has a number of CDs of Parish Registers; DVDs of old photographs with commentary; books of old photographs, the history of Wotton and individuals of note related to Wotton. 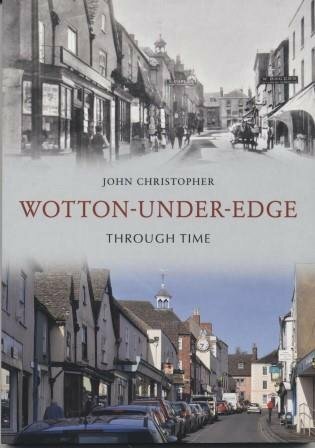 This book provides a snapshot of the town - a double exposure - spanning a period of around 150 years from the earliest days of photography to the present day. The photographs provide a view of how the town has changed and in some instances how little. 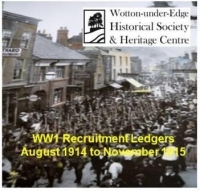 Two Army Books 69, Cash Book and Ledger, were donated to Wotton-under-Edge Historical Society in the mid-1990s. They were accessioned and recorded as Recruit Books 1914 and appropriately stored. Their unique importance was unrecognised and they remained undiscovered until mid-2014 when the Society was assessing the material it held for an exhibition on the start of WW1. They contain a wealth of social history information. Twenty three days after the declaration of WW1 the first Ledger was opened on 27th August 1914 with the last entry being on 30th November 1915, prior to conscription in January 1916. There are 465 men listed with 167 believed to have served their King and Country. Twenty four of those listed are known to have died during the conflict, being listed on the Wotton-under-Edge War Memorial, the Roll of Honour displayed in the Town Hall and in Bill Griffiths book First World War Heroes of Wotton-under-Edge. This ledger contains information on the health status and occupations of the men of Wotton. The second Ledger contains the names, addresses and signatures of 137 men, 56 of whom served in WW1. Eight of these men died in action and are listed on the Wotton-under-Edge War Memorial, the Roll of Honour displayed in the Town Hall and in Bill Griffiths book First World War Heroes of Wotton-under-Edge. 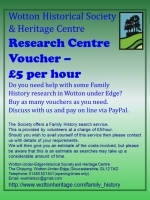 The Society offers a Family History search service. This is provided by volunteers at an hourly rate. Should you wish to avail yourself of this service then please contact us with details of your requirements. We will then give you an estimate of the costs involved and you can incrementally increase the number of vouchers you purchase accordingly. Please be aware that this is an estimate as searches may take up a considerable amount of time. 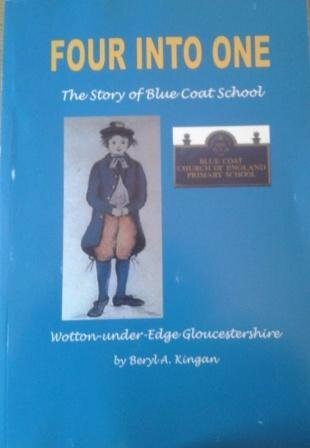 The Story of the Blue Coat School, Wotton-under-Edge; by Beryl A. Kingan. This is the story of four schools which became united as one school. The Blue Coat School was founded in 1693 and the Chipping School in 1836. The Church Infants School merged with the Chipping School in 1893. In 1923 Blue Coat became an Infants School which combined with the Chipping School in 1974 to become Blue Coat C of E Primary School. On 28th February 2000 the school moved to new premises, the impetus for compiling this history, which covers the previous three centuries. The story of the Blue Coat School reflects many of the changes in the history of education nationally. 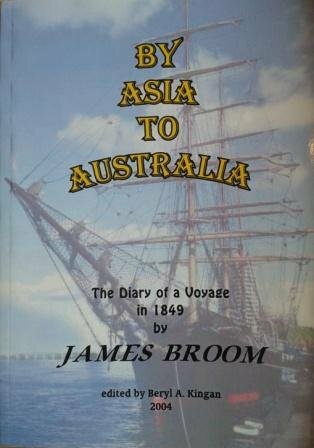 The Diary of a Voyage in 1849 by James Broom; edited by Beryl A. Kingan. This Diary covers the first two months of a voyage form Plymouth to Adelaide, and the start of a return voyage in 1851. The diary was found in the Society's archives within memorabilia of the Foxwell family, whose home was the Post Office in the nineteenth century in Wotton-under-Edge.. Research has revealed that the diarist lived in Warminster, Wiltshire and was writing the diary for his mother in Bath. The results of this research are detailed as are lists of passengers and crew. 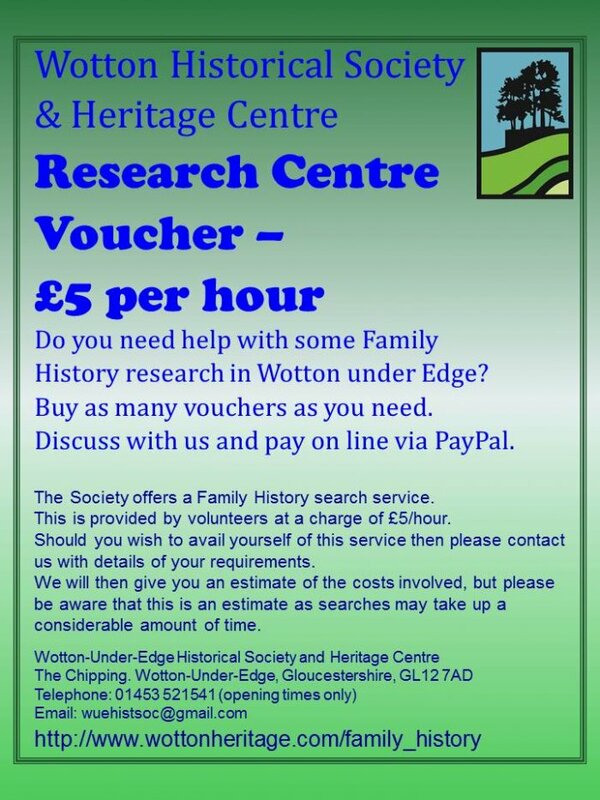 If you are interested in local or family history and want to meet others with similar interests, The Historical Society and Heritage Centre is the organisation to join. By becoming a member you will also be able to attend our lectures as well as participate in the many social events, excursions and other activities we sponsor throughout the year. In addition you will receive our annual journal and newsletters. Please visit the Society page to find out more.